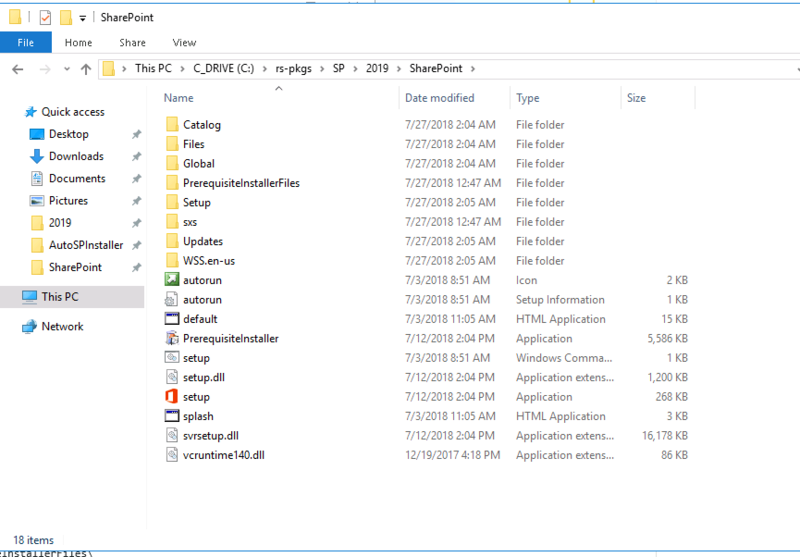 The auto SP Installer download used to include the folder structure. That is no longer the case. 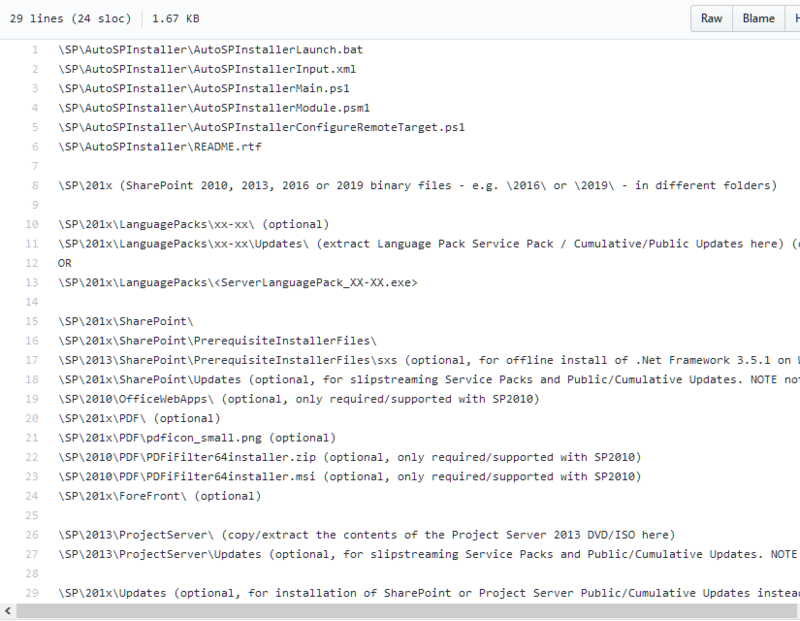 Then after everything is all set, all you need to do is drag and drop the 2019Farm.xml file onto the AutoSPInstallerLaunch.bat file in order to run the installer. Before you run the launcher, make sure that the .xml file does not contain any references to contoso. You can find and replace. Also make sure that the searchcontent account password is input, it is down under the search service application.